From Civil War uniforms to Double IPAs | Baxter Brewing Co.
For over 150 years, The Bates Mill Complex in Lewiston, ME has served as a manufacturing and production hub for much of Maine and New England. 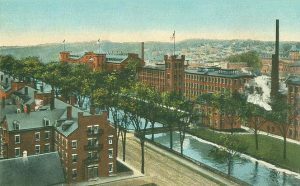 In the 1850’s, an entrepreneur from Boston named Benjamin Bates identified the plot along the Androscoggin River as a perfect site for the future mills. The nearby Great Falls and Androscoggin River would provide an endless supply of hydro power for one of the largest textile facilities in the region. 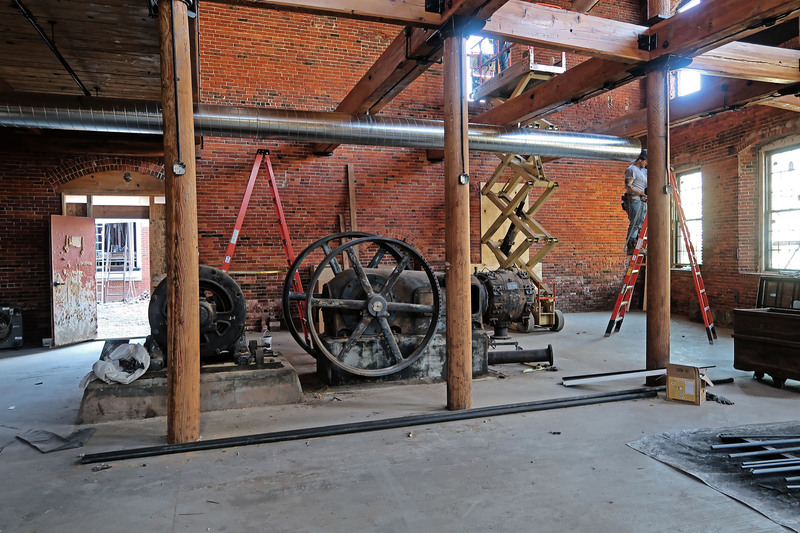 The Mills produced everything from bed linens, to woolens, clothing, shoes, and throughout the 1860’s, even Union Soldier uniforms. 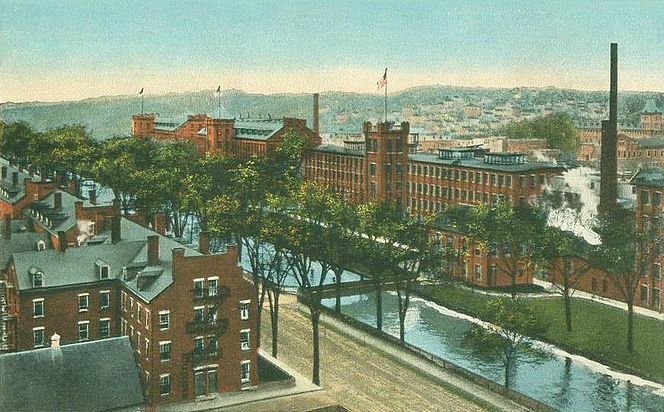 Throughout its life, the Bates Mill employed tens of thousands of workers and generated significant amounts of capital that led to further development of Lewiston and nearby including Bates College. Sadly, in the 1990’s, following several decades of steady decline, the last manufacturing companies in the Bates Mill closed their doors. 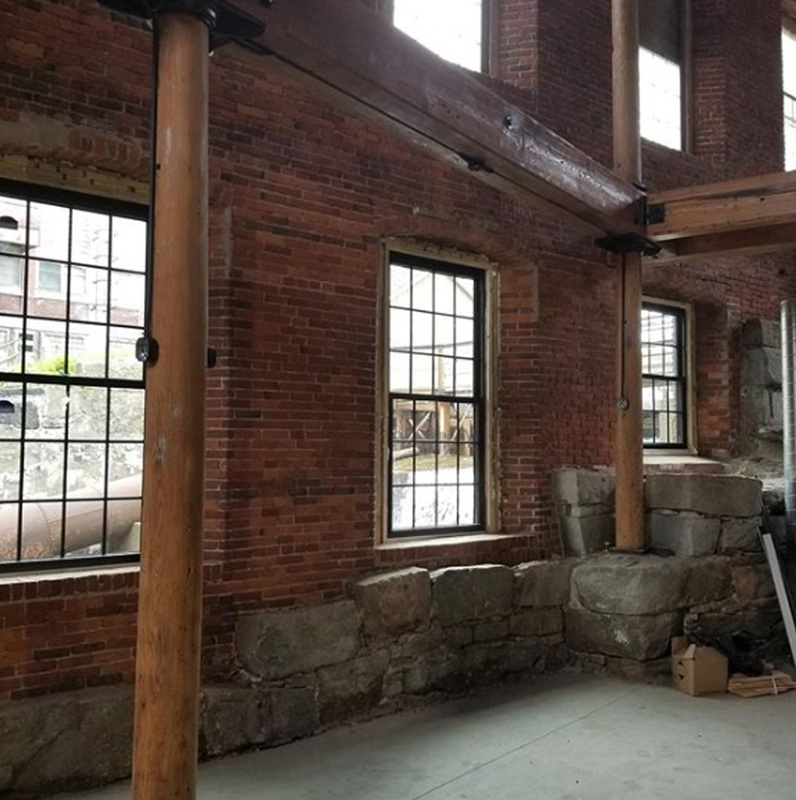 Fast forward 25 years, a transfer in ownership from private textile companies to the City of Lewiston (in 1992) and then from the City of Lewiston back to private developers (in the early 2000’s), and the Bates Mill is finally resurging back to its former glory. Over 1500 employees are back working in the Bates Mill including the 25 here at Baxter. The complex is no longer manufacturing textiles as it once did, but manufacturing is still in its soul. 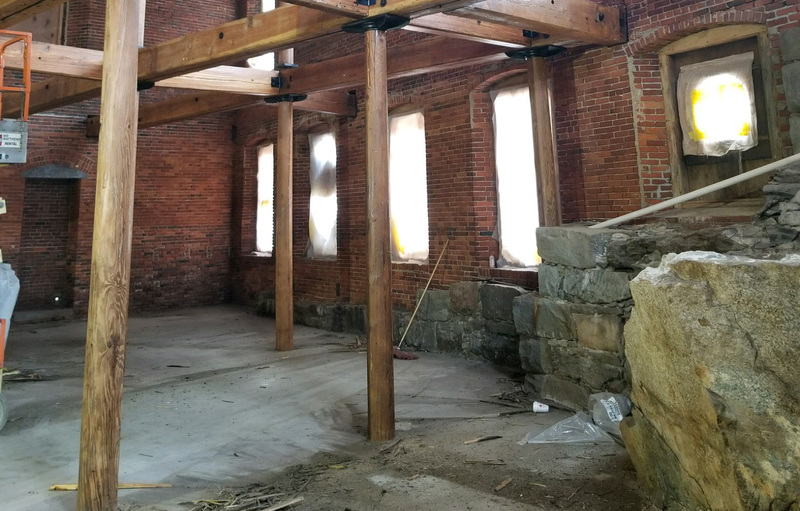 From within Bates Mill #1, Baxter now produces over 15,000 barrels of beer annually and has recently made a new commitment to the physical space with the development of our new 5,000 sq. ft. Pub. 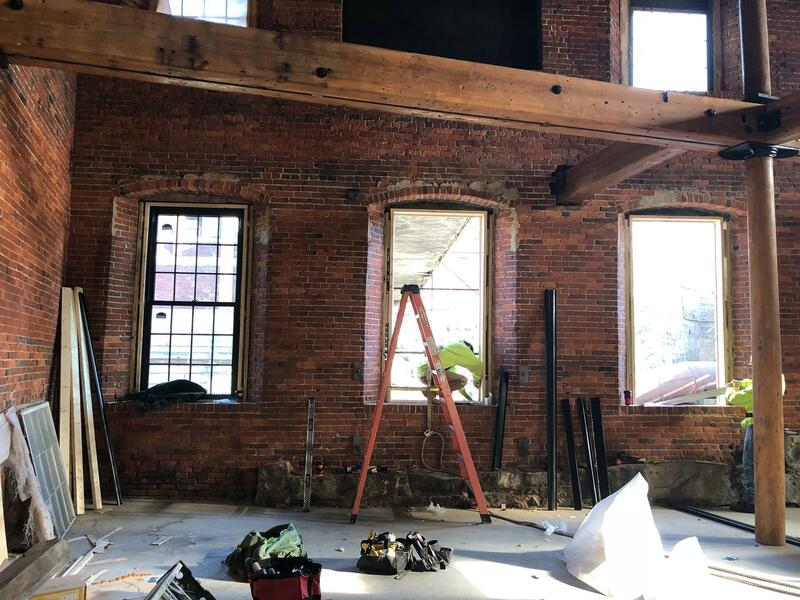 The Pub will utilize many of the original design elements from the Mill as it stood in the 1800’s and 1900’s including the original (repointed) brick, stonework, and hydroelectric generating equipment. 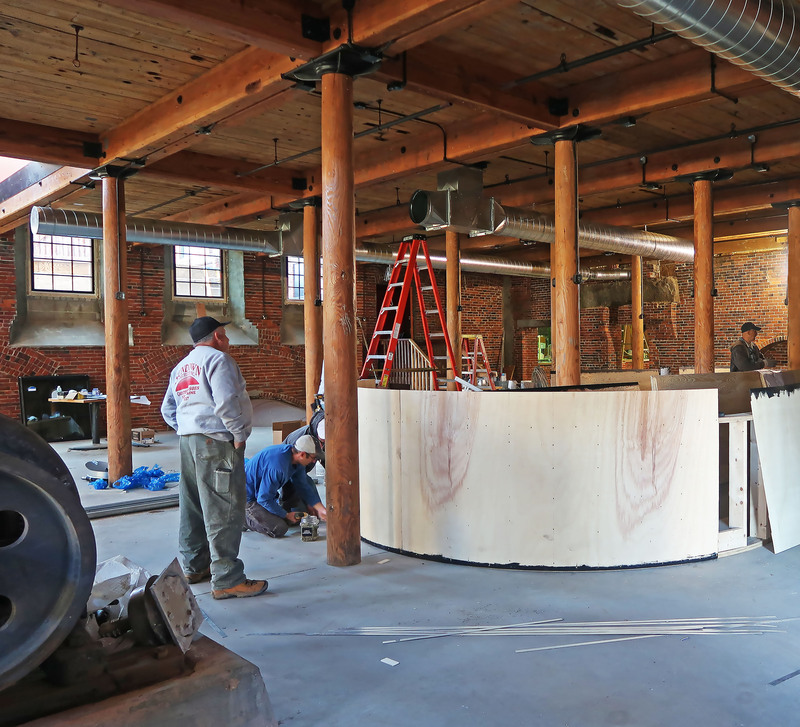 As patrons sit in the our 20-tap Pub they will be surrounded by centuries of history, culture, and community. 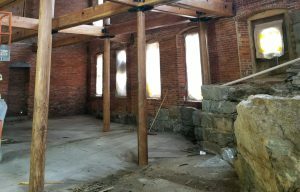 The new space will pay homage to generations of traditions and hard work and will celebrate the history of this great community. 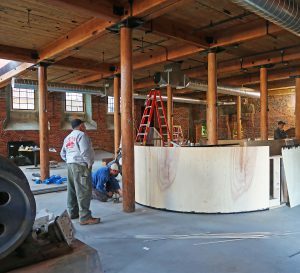 Meanwhile, patrons will be able to enjoy exclusive Baxter beers, food, live entertainment, and more. The space is still a work in progress and will be opening mid to late summer, but take a look at some of the progress below. Stay tuned for more info as we continue to build out the space!